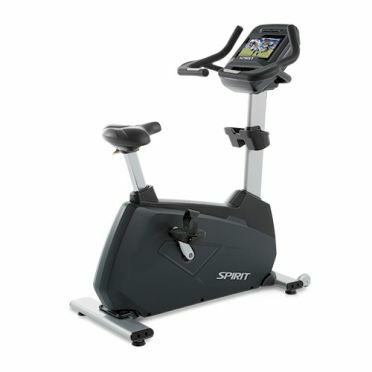 The Spirit Hometrainer CU900TFT is a club stationary bike for cardiovascular exercise that is full commercial rated regardless of usage in any training facility. Cycling on an exercise bike offers a continuous non-impact and non-weight bearing workout engaging major lower body muscle groups to provide cardio training benefits such as improved cardiopulmonary conditioning, stamina, weight loss, and fat burning. 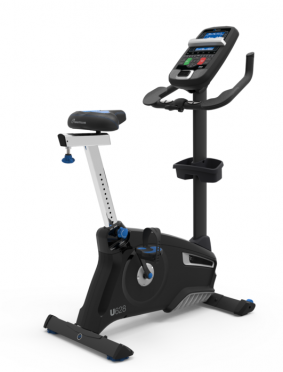 Users get the best of both in motivation and entertainment with the CU900TFT Upright Bike. The 10.1” touchscreen display allows users to watch TV, surf the internet and stream music while they work out. 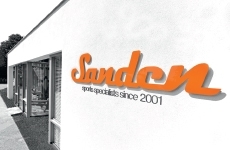 Commercial-grade pedals, cranks and bearings provide outstanding function and durability. 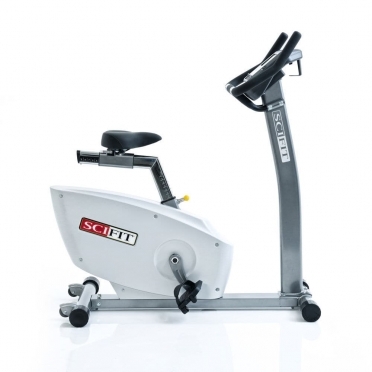 Durable, comfortable, and smooth are all qualities of the Spirit Hometrainer XBU55. 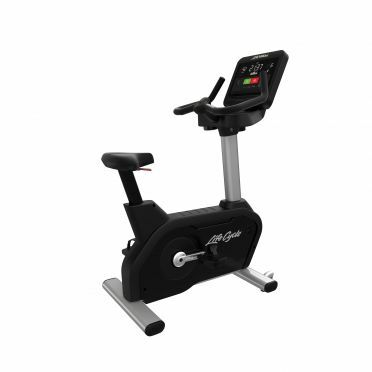 Easy adjustments, a cooling fan, high density foam seat, challenging programs, 20 levels of resistance, and a bright LCD display are all standard. 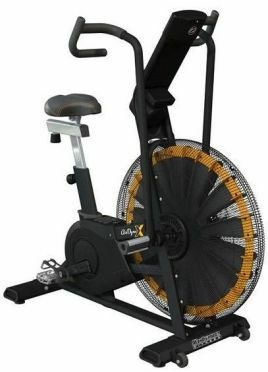 Indoor exercise bikes have been around for many decades. Their appeal and effectiveness have stood the test of time. 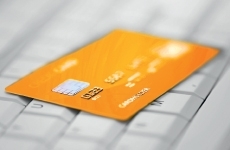 Comfort, convenience, familiarity, enjoyment, and medical conditions are a few reasons this modality appeals to a large segment of the population. The XTERRA Hometrainer UB2.5 is a great way to challenge yourself from the comfort of your home. The UB2.5 offers a 10 kg heavy duty flywheel system, a quality 3-piece pedal crank and a reliable poly V-belt that all lead to a smooth, quiet ride. The 24 resistance levels and 15 programs keep you challenged, and the dual backlit LCD display conveniently shows all of the pertinent data you need to keep up with your workouts while you listen to your favorite tunes via the audio input and speakers. Start challenging yourself to greater fitness goals today with your new Xterra Fitness hometrainer UB2.5. 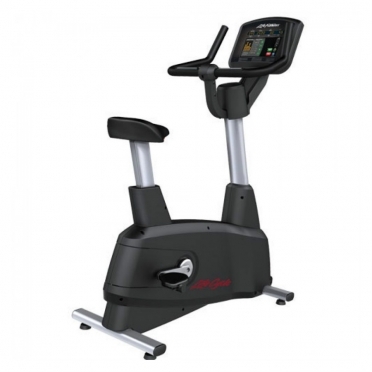 The XTERRA Hometrainer UB139 is a great way to challenge yourself from the comfort of your home. 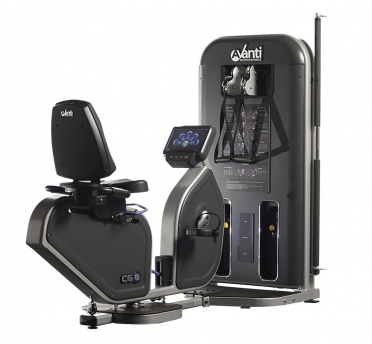 The low entry this model has also makes it the ideal exercise machine for rehabilitation purposes and a very accessible device for the elderly user. The UB139 offers a 10 kg heavy duty flywheel system, a quality 3-piece pedal crank and a reliable poly V-belt that all lead to a smooth, quiet ride. The 24 resistance levels and 24 programs keep you challenged, and the dual backlit LCD display conveniently shows all of the pertinent data you need to keep up with your workouts while you listen to your favorite tunes via the audio input and speakers. 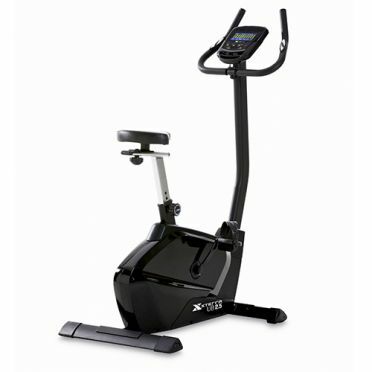 Start challenging yourself to greater fitness goals today with your new Xterra Fitness hometrainer UB139. 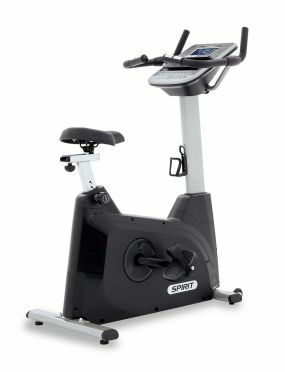 The Spirit Hometrainer CU900LED is a club stationary bike for cardiovascular exercise that is full commercial rated regardless of usage in any training facility. 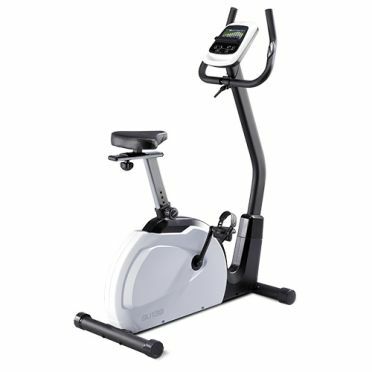 Cycling on an exercise bike offers a continuous non-impact and non-weight bearing workout engaging major lower body muscle groups to provide cardio training benefits such as improved cardiopulmonary conditioning, stamina, weight loss, and fat burning. 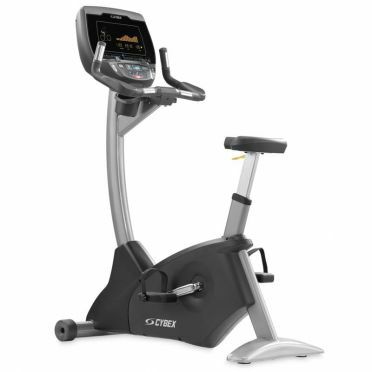 The CU900LED upright bike boasts features that provide users with precise fit and function and a beautiful console to track performance. The seat height securely locks and adjusts at infinite increments while the molded handlebars provide ultimate comfort. Pedal motion is smooth and consistent with industrial roller bearings and a 2.5 cm crank axel that can power through any climb. 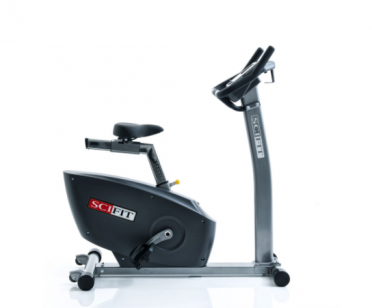 The Life Fitness Integrity series professional exercise bike SC is equipped with a C console which is a stripped down and easy to use console made for facilities that want the necessities, durability and function and exercisers who just want to get on and go. The Integrity Series benefits from a sleek and modern design, and is rooted in more than 20 years of reliability and innovation. Each bike offers wireless internet connection, which provides valuable asset management data and insights about your exercisers. 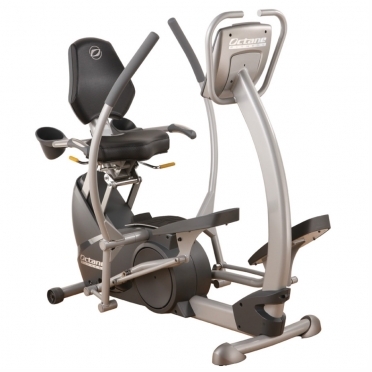 The Life Fitness professional exercise bike Activate Series Upright bike is everything people need for a great workout. 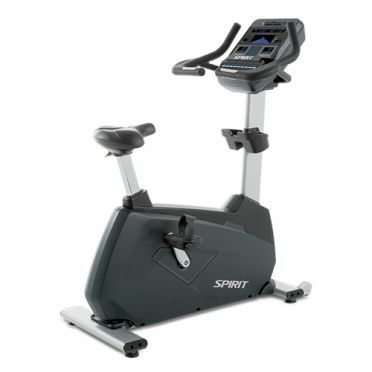 This highly durable, reliability-tested cardio equipment makes the most of any space and helps exercisers do the same. The genius of our legacy product, the Lifecycle Exercise Bike, can be seen in every aspect of this design, from the durable frame to the intuitive console. 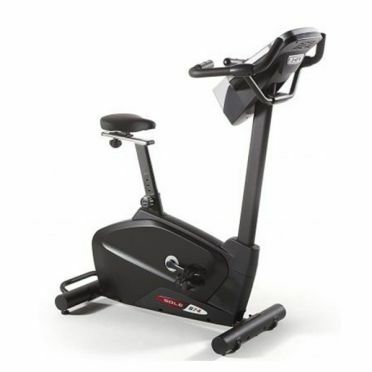 The Cybex 770C excercise bike pro 4 LED console provide distinct and compelling ways to improve your members’ fitness experience, whether they choose the 770C to train for a triathlon, or the 770R as they begin their journey to better fitness. For those who demand uncompromising performance and results, only the Cybex 770 Series Bikes will satisfy the need. Introducing the Cybex optional E3 View embedded monitor with three distinct viewing modes that deliver the precise content that you want on a 15.6” high definition screen. Exercise is more fun with the latest technology from Cybex. 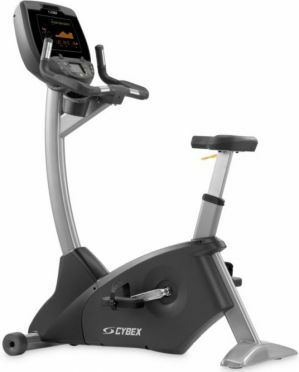 The Cybex 625C excercise bike pro 4 LED console provide distinct and compelling ways to improve your member’s fitness experience, whether they choose the 625C to train for a triathlon, or the 625R as they begin their journey to better fitness. 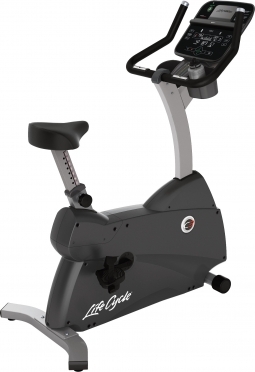 Cybex bikes combine contemporary design with exceptional reliability and extraordinary usability. From their stunning good looks to hidden details like its self-tensioning drive, these bikes are destined to invite users of all capabilities and will keep performing for the long run. The console is designed around ease of use with clear centralized controls and the optional wireless receiver adds seamless entertainment. 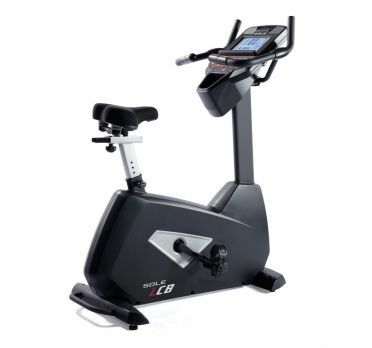 Featuring the upgraded Track Connect console, this quality Life Fitness Exercise Bike LifeCycle C1 Track Connect Console delivers 15 exciting workouts, 3 custom workouts, advanced data feedback and access to engaging fitness apps including LFConnect via Bluetooth connectivity. Comfort and motivation are integral to the C1 Upright Cycle. It features a host of comfort features, including incredibly quiet motion, a standard upright seat with 14 positions and self-balancing pedals with ratcheting straps for easy adjustments. To complement this, the bike comes fitted with the upgraded Track Connect console, which offers simple controls and easy access to exciting workouts and fitness apps.